Curtea de Argeș Monstery (early 16th century) is a Romanian Orthodox church located in Curtea de Argeș, Romania. The building resembles a very large and elaborate mausoleum, and was built in the Byzantine architectural style, with Moorish arabesques. The monastery sits upon a raised platform, 2.1 m above the surrounding grade, and encircled by a stone balustrade. Legends of Curtea de Argeș have inspired many Romanian poets. One traditional legend describes how the leader Neagoe Basarab, while a hostage in Constantinople, designed a splendid mosque for the sultan returning to build the cathedral out of the surplus materials. 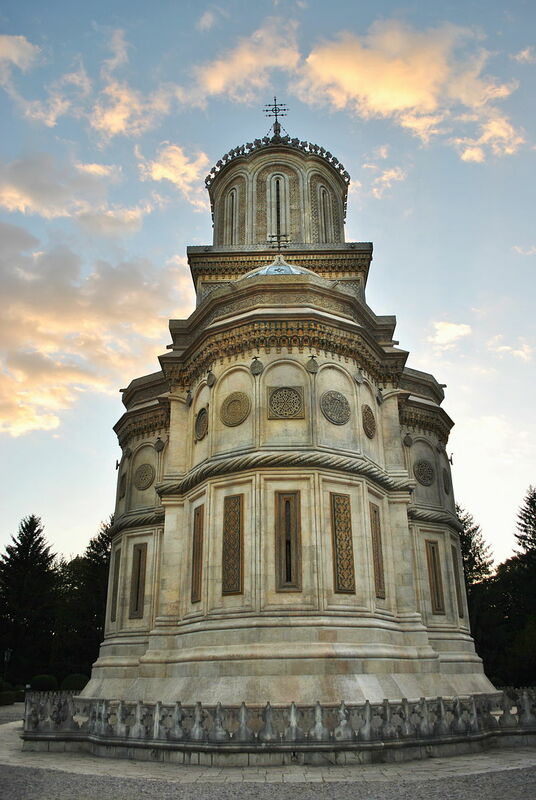 Another legend tells that the prince Radu Negru once employed Manole mason as architect. With Manole being unable to finish the walls, the prince threatened him and his assistants with death. At last Manole suggested that they should follow the ancient custom of placing a living woman into the foundations; and that she who first appeared on the following morning should be bricked in. The other masons warned their families, and Manole was forced to sacrifice his own wife. Thus the cathedral was built. 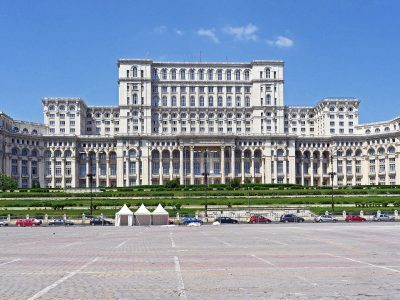 When Manole and his masons told the prince that they could always build an even greater building, Radu Negru had them stranded on the roof so that they could not build something to match it. They fashioned wooden wings and tried to fly off the roof, but, one by one, they all fell to the ground. A spring of clear water, named after Manole, is said to mark the spot where he fell.